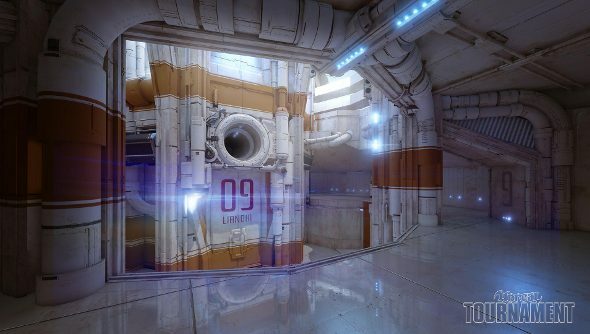 The Unreal Tournament Development Team have put together a concept map for the upcoming Unreal engine 4 shooter. It’s the first map they’ve shown, but it’s very much a proof of concept rather than a proper level. Perna goes into detail about how he went about designing the map, and what he was going for with it. “To me, Unreal… has always been a Tim Burton Batman caricature of itself,” he says. But he’d like the new Unreal to be more like Nolan’s Batman, with more realism and polish. Hopefully there will be more character than in Nolan’s Gotham, though. The team emphasises that the map is just them experimenting with art. The design team use shells of maps to work out gameplay, while the art crew works independently to give them visual depth and flavour. So this map hasn’t been tested with actual gameplay, and that’s not what it’s for. You can watch the video below, and the map is shown off from 1:30. What do you lot think about the aesthetic? Like what you see?